Wild Jackpots casino is the sister casino of GoWild casino which has been accredited here for a number of years – at the moment their accreditation has been suspended pending the outcome of a player issue. 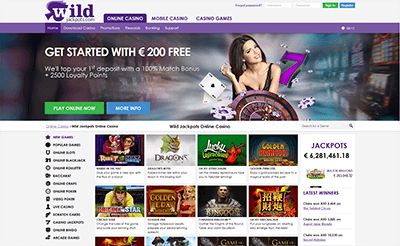 Wild Jackpots switched from being a Microgaming download casino to one in which players can access the games in their browsers. They also brought on games from NetEnt, Play’n GO, iSoftbet, Evolution, and Betsoft. So they have a great collection of games – unless of course you are looking for video poker. Wild Jackpots eems to be squared away. They are in the Grey Zone waiting to be reviewed after a player complaint is resolved by the MGA. In the meantime, I would suggest that players pay particular close attention to their terms and conditions when signing up. Make sure you read and understand them.